It’s no secret that teaching is a complex line of work. Because of this, every state government and school district within the United States will want to ensure incoming teachers possess all the required skills. In the state of New York, this will include basic literacy. Any and every aspiring teacher in New York will have to earn a passing score on the NYSTCE (New York State Teacher Certification Examinations). On this page, you will find information about the ALST, also known as the Academic Literacy Skills Test. The purpose of the ALST is to evaluate your ability to read on a surface and critical level. As such, you’ll find that the ALST works very similarly to other reading exams you may have taken in the past. Like other portions of the NYSTCE, the ALST is timed. Test takers are allotted exactly 3.5 hours to complete the exam. You will be presented with reading passages, which may be either nonfiction or fiction. After reading these passages, you must answer questions pertaining to their content. These questions will be in either essay (“extended-response”), short answer (“constructed-response”), or multiple choice (“selected-response”) format. You can generally expect to find only one essay question and two short answer questions. Before you take this important exam, you may want to prepare as thoroughly as possible. 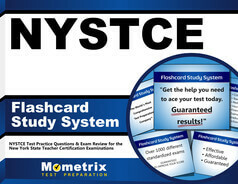 To help you in this endeavor, the Mometrix Test Preparation team has composed an NYSTCE Academic Literacy Skills (202) practice test. This practice test is 100 percent free and designed to help you learn what to expect from the ALST in terms of content and format. 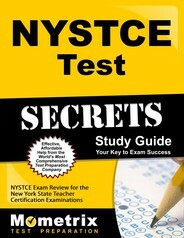 We recommend our NYSTCE Academic Literacy Skills practice test for anyone interested in learning how to approach the full exam. We hope our practice test will become a beneficial part of your study plan. Feel free to use this tool alongside our companion study guide. Good luck!